The DFA is located behind 7419 N. Wolcott Ave. Parking is available at Pottawattomie Park 7360 N. Rogers Ave. Thanks to Michele Hays for the improved Pawtawattomie Dog Park location map included at right. There are two entrances the dog friendly area. One gate is located behind the ballfield fences at the northeast corner of Pottawattomie Park. The gate is located to the left, and can be accessed from behind the ballfield benches. The second access is via the alleyway behind the apartments at 7419 N. Wolcott Ave. Parking is available for Pottawattomie Park users off of N. Rogers Ave. Walk across the ballfields towards the northeast corner to access the DFA. 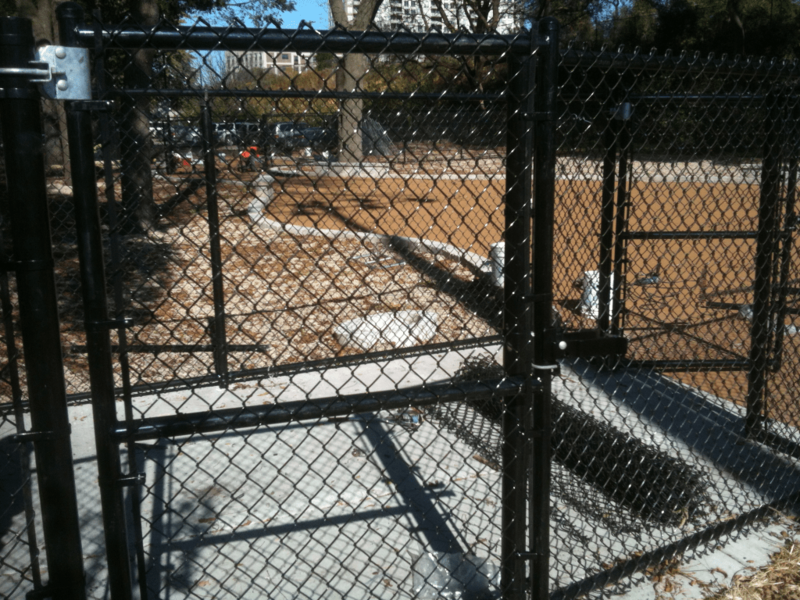 This secluded dog friendly area in Rogers Park is scheduled to open in October, 2011. Trees provide ample shade in the summer. 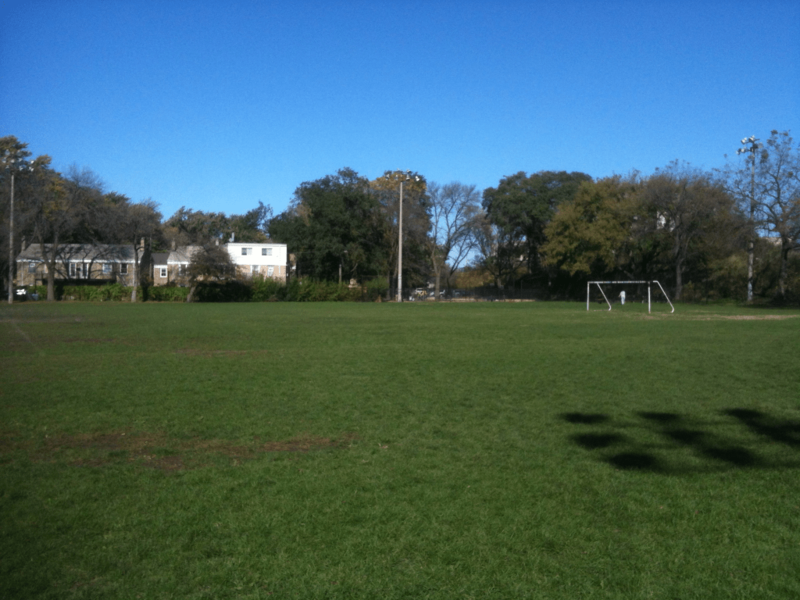 The Pottawattomie Park DFA now has a dedicated webpage http://www.ppdfa.com.